Multi-touch interfaces are all the rage at the moment. Patrick Baudisch, from Microsoft, and others are exploring the problem of using a touch interface on a small screen, such as a mobile phone, where your fingers obscure what you are actually trying to do. 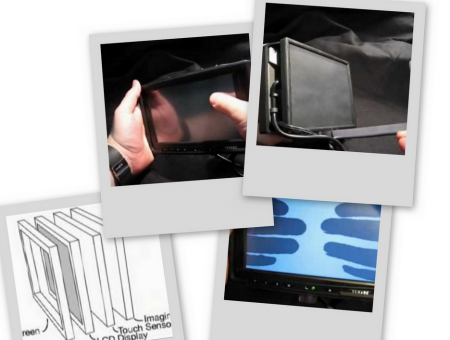 Through a joint venture between Microsoft Research and Mitsubishi Research Labs (MERL) LucidTouch has emerged. This device uses a combination of technology that gives it the illusion of being transparent. 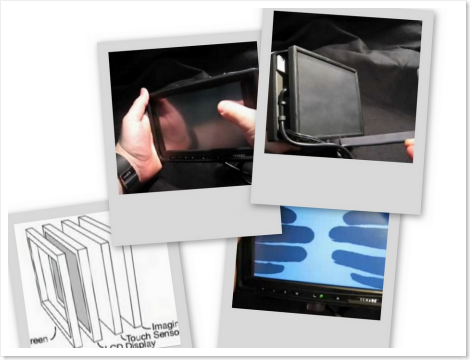 It allows you to use all 10 fingers via touch surfaces both on the front and the back of the device. Reminds me a little of the "Transparent PC Screen"